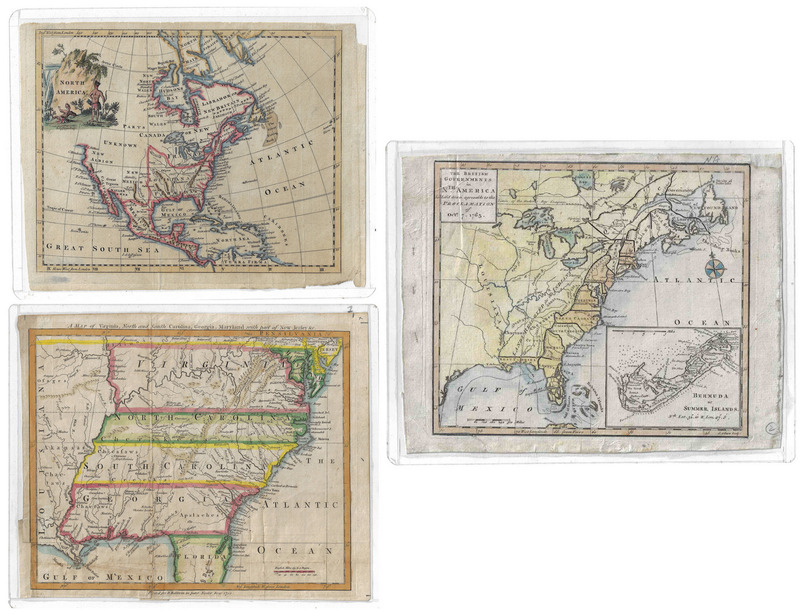 Three (3) French and Indian War period maps. 1st item: John Gibson: THE BRITISH GOVERNMENT IN NORTH AMERICA, Laid Down Agreeable To The Proclamation of Oct. 7, 1763. Published in The Gentleman's Magazine, London, 1763. 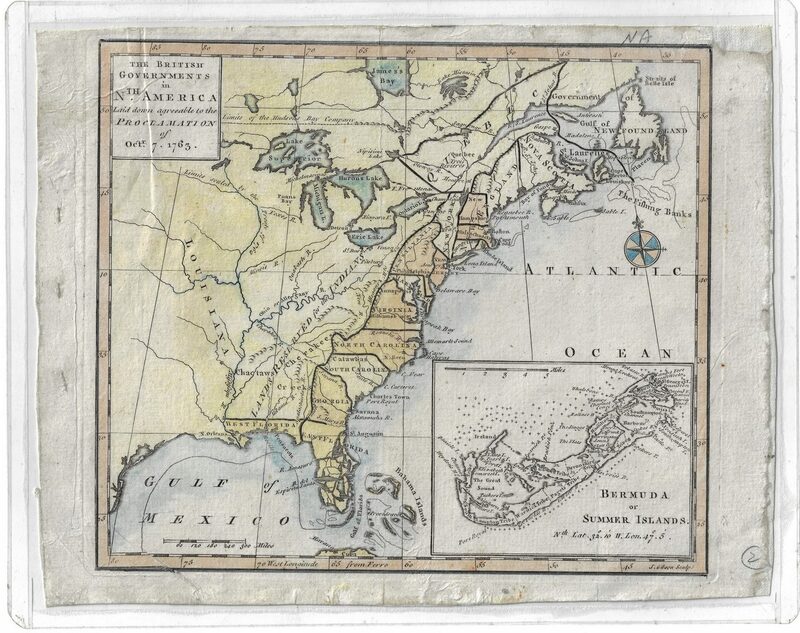 Hand colored map depicts the borders of the Coastal States including boundaries established at the end of the French and Indian war, when former French and Spanish settlements came under English control. The area west of the Appalachians is labeled "Lands Reserved for the Indians." Bermuda and the Summer Islands are inset lower right. 8" x 9 1/8" image, 8 5/8" x 11" sheet. 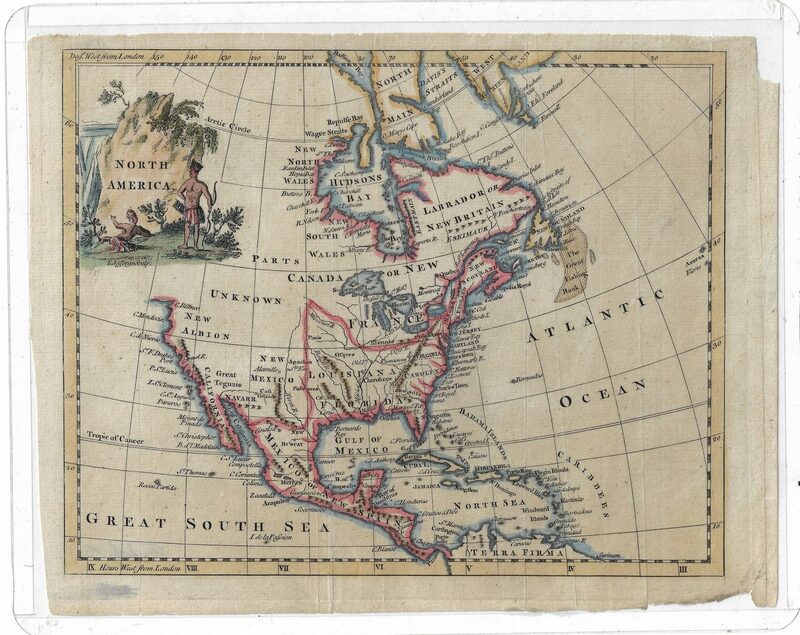 2nd item: T. Jefferys Map of North America, hand colored, with vignette of Native Americans in upper left corner. Undated, circa 1758. 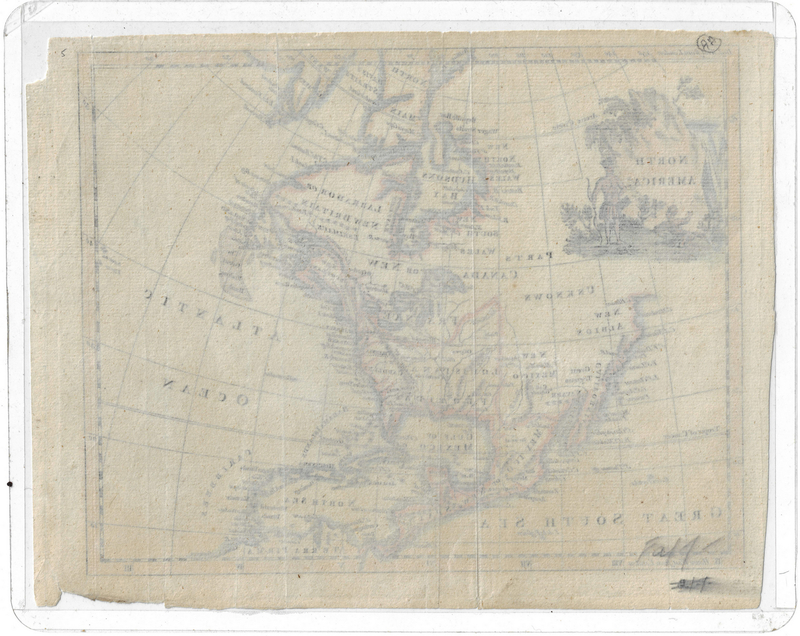 Identifies New Britain and New France (Canada) with Montreal and Quebec, and New Scotland (Maine) as well as Delaware, Maryland, Virginia, Carolina and Georgia, but Massachusetts, Connecticut, Rhode Island, and other Northeastern states are all classified as New England. The West Coast is labeled California and New Albion. Several Native American Indian Tribes are identified including Iroquois, Cherokees, Illinois and Eskimaux. Much of the upper West is labeled "Parts Unknown". 7 1/8" x 9" image, 8" x 10 1/2" sheet. 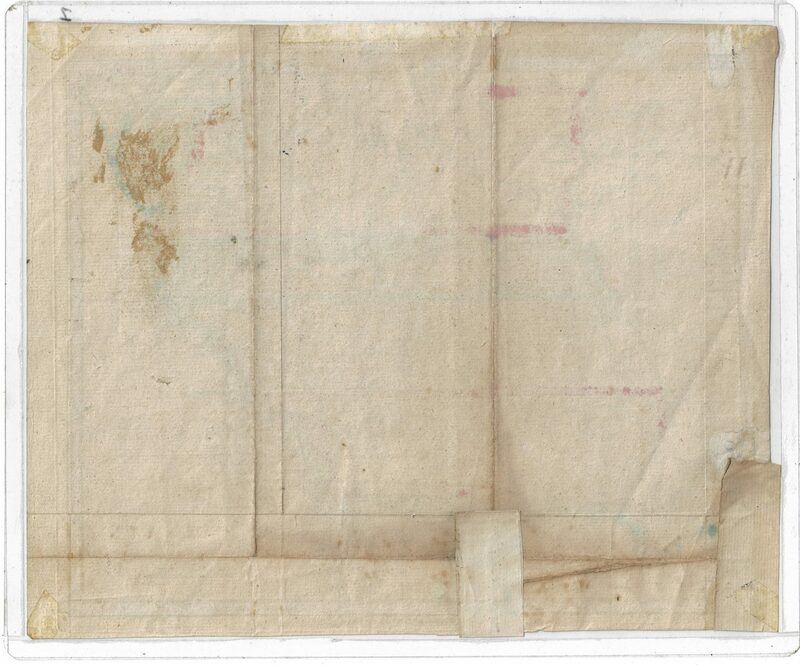 3rd item: Robert Baldwin: A MAP OF VIRGINIA, NORTH AND SOUTH CAROLINA, GEORGIA, MARYLAND WITH PART OF NEW JERSEY, circa 1753. 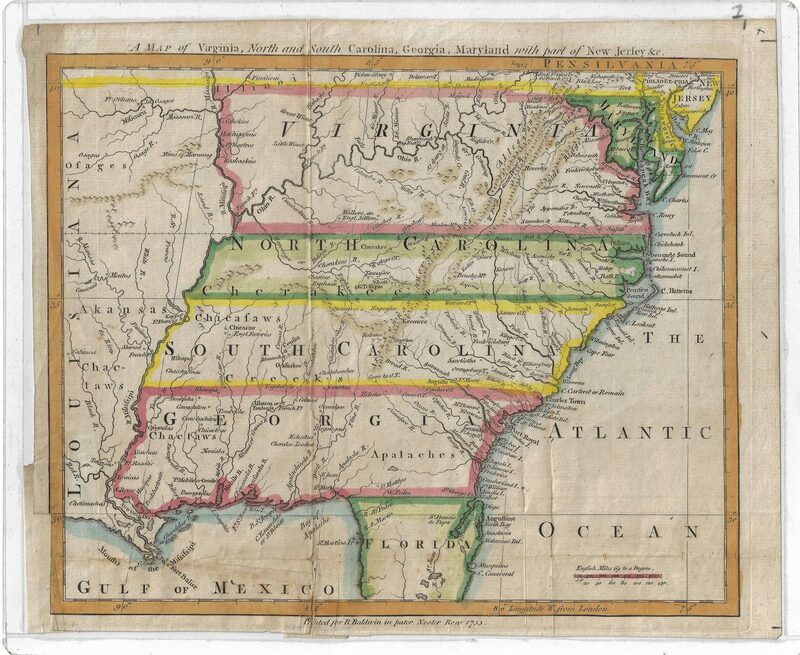 Hand colored map pre-dates statehood for most Southern states including Tennessee and Kentucky. 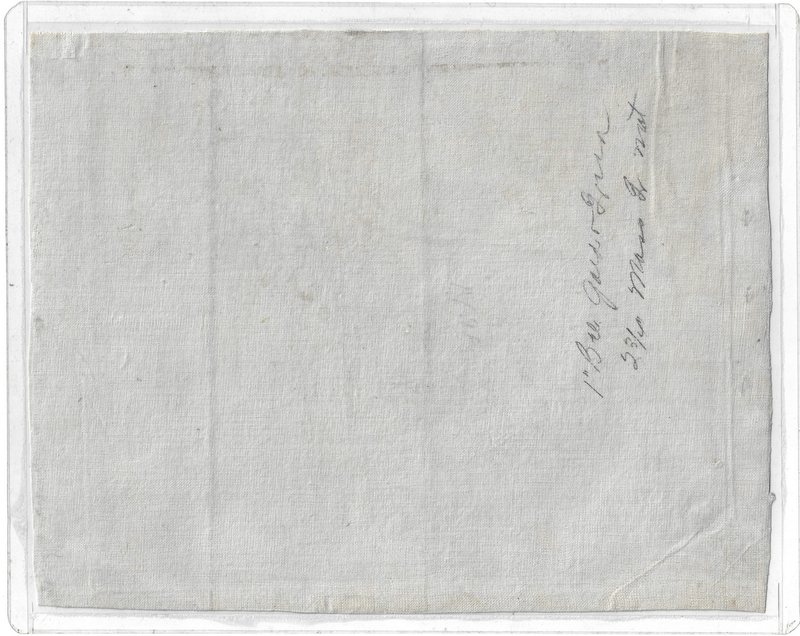 8 1/2" x 10 1/3" image, 9 1/4" x 10 3/4" sheet. Provenance: The estate of Dr. Benjamin H. Caldwell, Nashville, Tennessee. CONDITION: All items unframed and sealed in plastic sleeves. 1st item: Adhered to linen backing. 1/3" x 3/4" loss upper right corner. Upper and lower margins trimmed (upper margin trimmed into plate). Scattered handling grime. 2nd item: 1/2" x 1/4" loss to upper right hand corner, some light grime in margin, narrow 1 1/2" loss to lower right edge, otherwise good condition. 3rd item: Margins trimmed, pieced at bottom, minimal discoloration.